McFarlane Toys is teaming with Robert Kirkman (creator of the Walking Dead) to release a new Haunt Statue. HAUNT CAPTURED…IN RESIN! PREORDER 7/4! Ex-priest Daniel Kilgore and the ghost of his estranged brother, Kurt, fuse together creating a chain reaction and turn the brothers into the mysterious comic book character Haunt. For the first time ever, the fan-favorite character created by comic legend Todd McFarlane (Spawn) and New York Times bestselling author Robert Kirkman (The Walking Dead) is available in a fully-detailed resin statue offered exclusively through the McFarlane Toys online store. 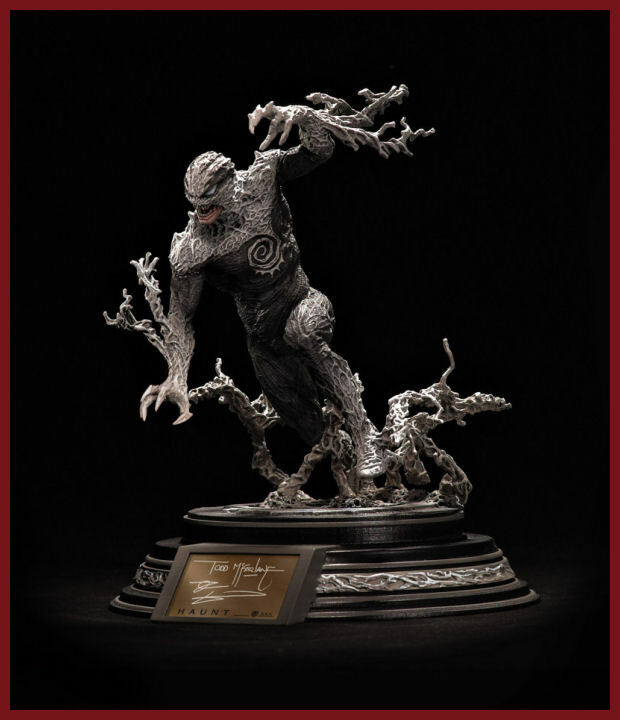 The limited-edition Haunt statue was created, developed and designed by Todd McFarlane and his award-winning McFarlane Toys design group. 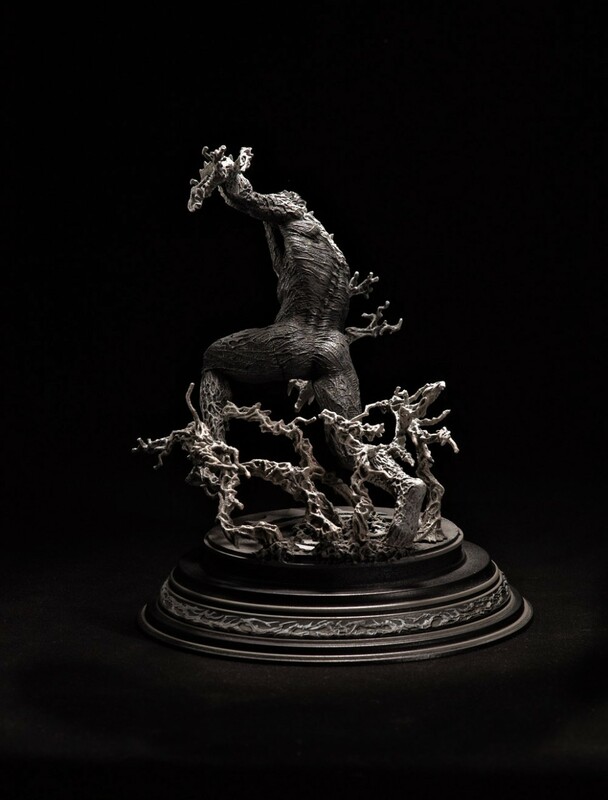 With more than two years in development, the Haunt statue includes all the incredible details that McFarlane is known for in the high-end collectible market. 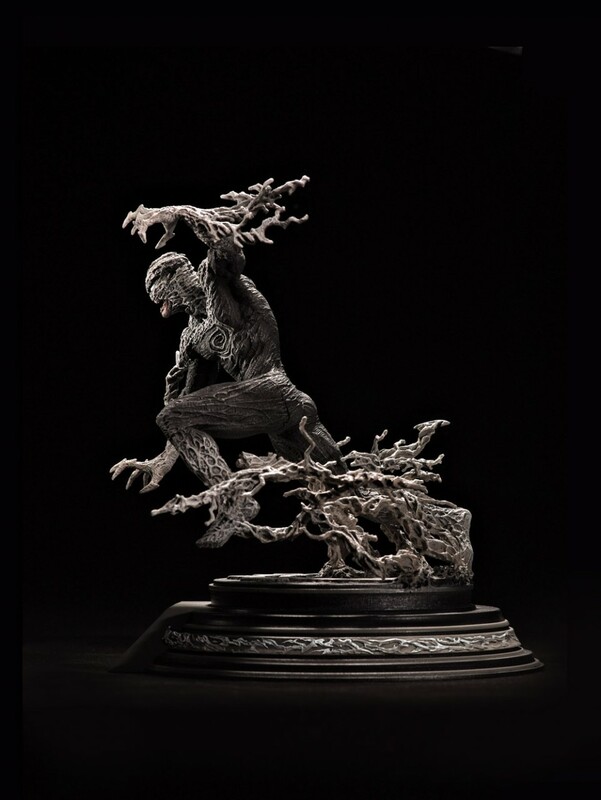 Each base features a plaque hand-signed by Haunt creators and comic superstars, McFarlane and Kirkman. Additionally, the exquisite piece is limited to only 500 Statues and each is individually numbered (1-500). 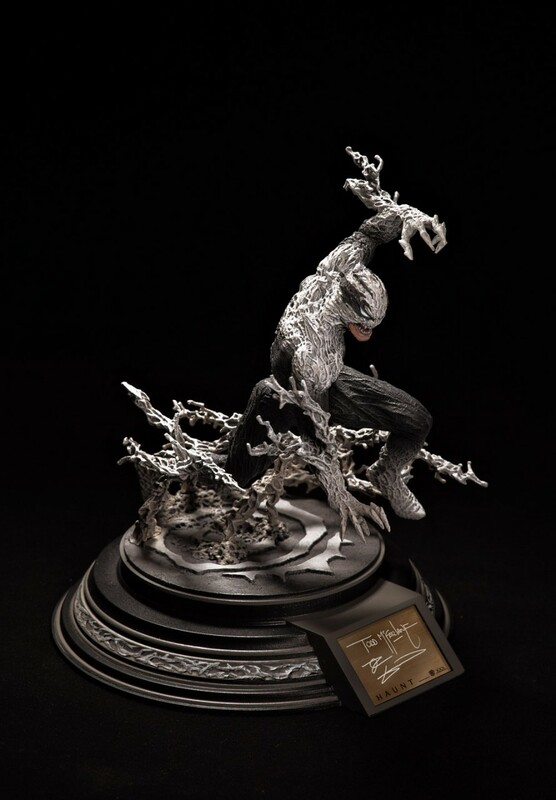 This limited-edition Statue retails at $185 with FREE Shipping (Only available in US and Canada). Preordering begins at Noon (Eastern Standard Time) on Wednesday, July 4th. 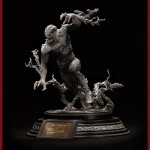 The Haunt resin statue is planned to ship 4th Quarter 2012. Customers will not be charged until the order is shipped. Do pass up a chance to own a piece of McFarlane and Kirkman’s comic legacy!